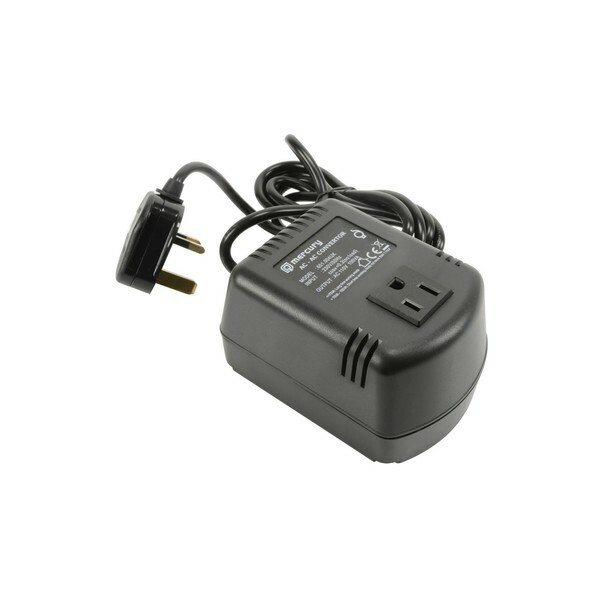 The Mercury Power Converter allows you to power USA electrical equipment from a UK mains socket. The Mercury UK2US100VA converter steps down the voltage from 230V (UK) to 110V (USA). The compact size allows you to easily transport the plug-in power supply.